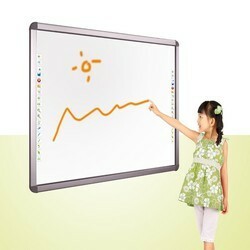 Enliven teaching and learning with our range of interactive whiteboard systems. 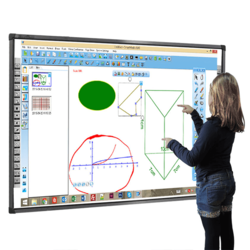 Designed to focus attention and provide a platform to boost the interactivity of your lessons, ActivBoard interactive whiteboards and Promethean''s teaching software to provide the essential building blocks for any digitally connected classroom. Because each classroom is unique, Promethean ActivBoard Systems are available in a wide variety of configurations, enabling you to tailor the right solution to accommodate your needs. 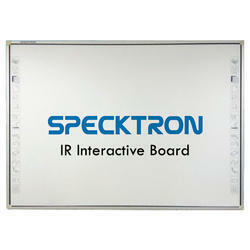 The Specktron IR Interactive Board is a technologically advanced product in the intelligent series line. 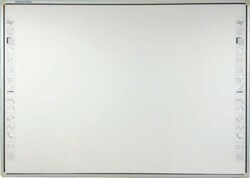 The interactive whiteboard features (10 touches) technology that enables multiple users to write and draw simultaneously. Users can switch seamlessly between writing, drawing and moving objects with a finger, stylus or even a pointer. 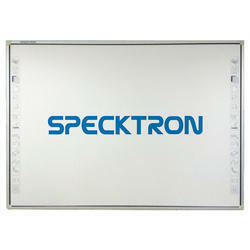 The board easily connects to a computer through a USB interface. It is the ideal tool to increase engagement and collaboration within any education, corporate or professional teaching or training environment. 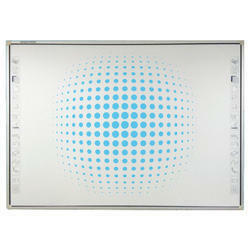 Enliven teaching and learning with our range of interactive whiteboard systems. 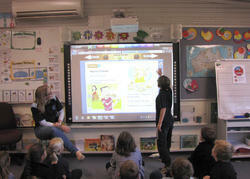 Designed to focus attention and provide a platform to boost the interactivity of your lessons, ActivBoard interactive whiteboards and Promethean''''s teaching software to provide the essential building blocks for any digitally connected classroom. 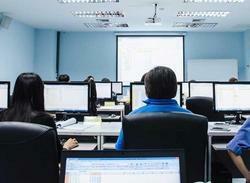 Because each classroom is unique, Promethean ActivBoard Systems are available in a wide variety of configurations, enabling you to tailor the right solution to accommodate your needs. 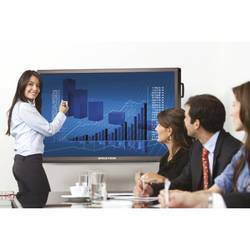 Effective Touch Area (Inches) 70" x 41",65" x 46"
Finger Touch Interactive Whiteboard for smart class rooms it will give easy learning experienceEnliven teaching and learning with our range of interactive whiteboard systems. 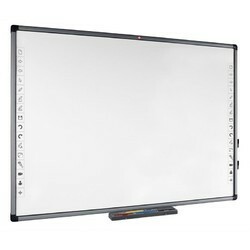 Designed to focus attention and provide a platform to boost the interactivity of your lessons, ActivBoard interactive whiteboards and Promethean''s teaching software to provide the essential building blocks for any digitally connected classroom. 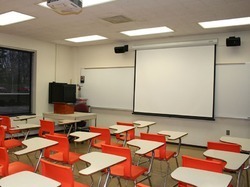 Because each classroom is unique, Promethean ActivBoard Systems are available in a wide variety of configurations, enabling you to tailor the right solution to accommodate your needs.